Magnify is a screen magnification tool designed for developers. 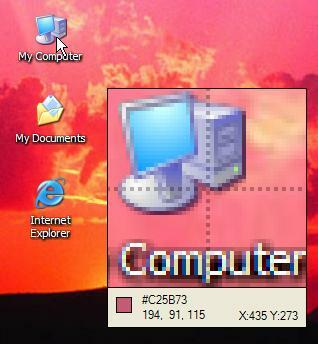 It magnifies the area under the mouse pointer. Three zoom levels x2 x4 x8. It also gives you the colour code of the pixel under the cursor, in both hex and decimal. Have you ever wanted to develop a complex regular expression and test it? Is Visual Studio Search and Replace dialog just not cutting it? Well RegEx Editor might just be the answer. It is a simple concept, enter some text to test on, a regular expression and a replace string then use the IsMatch, Matches or Replace button. 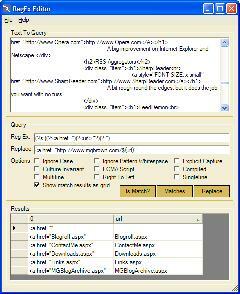 RegEx Editor includes full support for Groups and Replace Strings. Match results displayed in a neat grid with single click sorting. If you find a bug or would otherwise like to leave a comment, you can do so on this post.